If you are looking for a smooth well priced gaming monitor then the BenQ XL2411Z should definitely be on your list of monitors to review. This 24″ monitor stands out as one of the best rated 144Hz gaming monitors available on Amazon right now attracting well over 100 five star reviews from Amazon buyers. The BenQ brand might not be quite so well known as the other names we review on here but in the world of gaming monitors they are a big deal! Note, this monitor has been rebranded as the ZOWIE XL2411, so if you are trying to compare the two then don’t worry about the difference. These models also supersede the XL2411T. Let’s look at the build quality. The XL2411Z features a stylish aluminium stand that is, for once, actually an attractive stand. But that’s not all, the solid stand means that the monitor is very stable and even the most relentless keyboard bashing during a game will keep it stable on your desk. If you have ever suffered from a wobbly monitor you’ll appreciate that this is a big deal. The monitor I just replaced had an exceptionally poor stand and now this is a key feature when I look to buy. The stand also features a hole in the center, a nice touch, it allows you to route cables cleanly back down and behind your desk. The matt grey finish is attractive, more so if you don’t like a glossy surface. It’s compact and stable, the ideal combination. 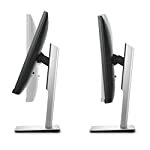 Of course, like any good stand it is fully adjustable allowing you to position the monitor just how you need it. Your screen needs to be just right when enjoying a good session on Witcher 3. And thankfully, if you think putting together new kit is a pain, this BenQ is easy enough to assemble. No nuts and bolts, just a few pieces to slot together and Bob’s your uncle. You’ll be up and gaming in no time at all. It also comes with cables which is always appreciated (VGA cable, DVI cable, power). No one likes a chunky looking border around their monitor in this day and age. The XL2411Z has a bezel of approx 3/4 inch, so perhaps doesn’t qualify as zero border but it isn’t too intrusive either. You’ll be happy to show off this screen in your study, it looks smart enough. The monitor is built with a TN panel, so the bad news is that this does provide a more limited viewing range and the colours aren’t as vivid as they could be with an IPS based monitor. But this is the case with all TN screens and besides, this is a gaming monitor. The real benefit of this screen comes when you fire up a fast paced action game that needs decent hardware to keep up. But that said, for a TN based monitor, this is one of the best you will find. Thanks to the 144Hz refresh rate you can expect very fast, clear crisp low latency visuals that well show off the best of any game. This is a 1080, full HD screen which means most modern video cards should be able to power it without much difficulty. For example the Nvidia GTX960 and above will be quite capable of decent 1080 gaming. If you want to hit 144 frames per second at ultra high resolutions you might want something a little more powerful though! To see 144 frames per second your card must be able to generate 144 frames every second! So you’ll need a modern graphics card paired with a reasonable CPU. Of course, you can downgrade the visuals in most games so if you are prepared to compromise on quality you can still max out the visuals. We give the BenQ XL2411Z a 4.5 out of 5 rating. Want to know what existing owners of the monitor think? You can read real user reviews here. 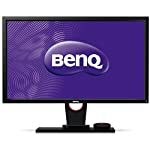 Should I buy the BenQ XL2411Z? 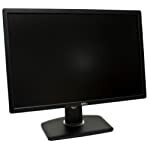 The BenQ monitor has got great reviews as is well like by others who have written up about their purchase over at Amazon. This should meet the needs of most gamers out there looking to buy at this price point. If you are having some doubts about this purchase then why not read some real owner reviews and see what other buyers think. Welcome to the BenQ XL2411Z FAQ. This section attempts to answer common questions you may have, please get in touch if you have any more queries or if you think our answers need updating. 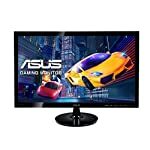 What is the maximum refresh rate of this monitor? 144Hz, that means the screen refreshes 144 times every second giving you a buttery smooth image, assuming your graphics card can output that many frames a second. Does it come with a DVI cable? Yes, it is normally supplied with all the cables. If you have any concerns you should ask your supplier to confirm what is in the box. You’ll need a dual link cable to run at 144Hz. Is there a VESA mount on the XL2411Z? I've heard there is a firmware upgrade? 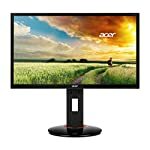 If you buy now the monitor should have the superior version 2 firmware. If you need to download it you can get it from the BenQ site here. If you have doubts do contact your supplier before purchase.